Possibly the greatest steering car in production history. 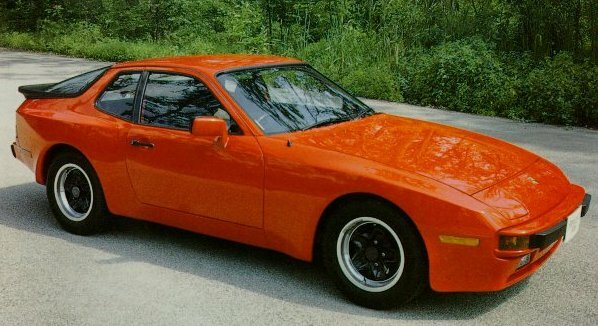 The 1983 Porsche 944 was everything that the previous 924 should have been. Introduced in May of 1982, the 944 gained instant success. The first 944s were 1983 models. They came with a 2.5 liter inline 4 cylinder. The chassis and body shell were from the 924, but the new model had flared fenders, a rear spoiler, and a front air dam. Everything that was flawed in the 924, such as inadequate driving space between the seat and steering wheel, was corrected in the 944. A special balance shaft design was used on the 944 to keep the noise level and shaking down, which were problems on the 924. In 1987, the 944's compression ratio was rasied to 10.2:1, resulting in 8 more horsepower. In 1989, the engine size was raised to 2,688 cc (78.9"x 104.0"), and the compression was raised again, to 10.9:1. Power was now up 4 more horsepower. After 2 years, the 944's interior was refreshed with a new dash and rearranged instrument panel. 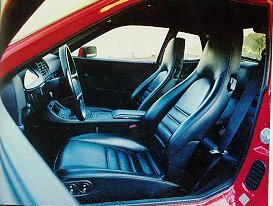 That same interior can be found on the '95 968s. The 1985 1/2 models recieved this update. The news for 1986 was the introduction of the 944 Turbo. It wasn't simply a 944 with a turbine stuck on it, but a totally re-engineered automobile. Beefed up suspension, brakes, and most importantly, engine. It sported a rear chin spoiler, and a new front cap with integrated bumper and fog lights. For 1987, the 944 S was added to the model line-up. It boasted a 16 valve engine with twin cams. It offered ABS. The Turbo became the FIRST CAR IN THE WORLD to have standard driver and passenger airbags. The 944 and S also had the airbag option. By 1989, the 944 S was replaced by the 944 S2. The S2 had a new 3.0 liter engine in it, producing 208 horsepower. The S2's bodywork was the same as teh 944 Turbo's. 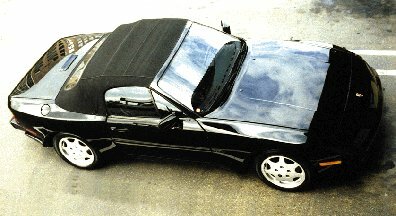 In 1990, the 944 S2 cabriolet was made available. It shared the Turbo's bodywork with a convertable top, and is in my opinion, the most gorgeous front engined Porsche ever made. The 944's life was winding down in 1991, ending an 8 year reign which redefined to the automotive world what a GT car is supposed to be.